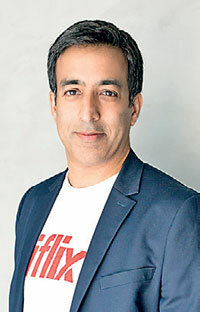 iflix, the world’s leading entertainment service for emerging markets, continues its investment in executive talent with the appointment of Anil Jhingan as the company’s Chief Commercial and Financial Officer. Jhingan brings over 17 years of experience and insight in the pay TV, media and entertainment sectors, having held various executive positions at Sky PLC, 21st Century Fox and News Corporation. He has served as a non-executive Director of iflix since March 2016. Jhingan has extensive international experience in corporate and business development, financial planning, mergers and acquisitions and commercial partnerships across Europe, Asia, the Middle East, Australia and South America. In his current role as Group Director of M&A and International Development at Sky, he led the US$9 billion acquisitions of Sky Italia and Sky Deutschland, which established Sky as Europe’s leading entertainment and communications business. Current CFO, Georg Chmiel shifts to a new role as Non-Executive Chairman of iCar Asia working closely with iCar Asia CEO, Hamish Stone. Now available to over one billion consumers across 22 territories throughout Asia, the Middle East and Africa, iflix has established itself as the clear market leader in video streaming. Offering consumers, a vast library of top Hollywood, Asian and Middle Eastern regional, and local TV shows and movies, including many first run exclusives and award-winning programmes, each subscription allows users to access the service on up to five devices, including phones, laptops, tablets, and television sets, for viewing wherever, whenever.